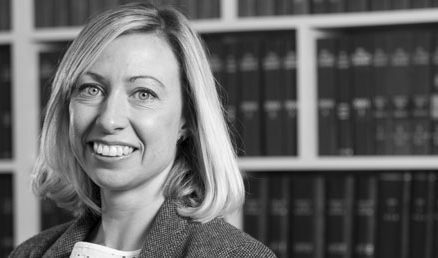 Nina is a partner in our Public Law department specialising in judicial review and civil claims for compensation against the state; with a particular focus on the rights of people held in immigration detention. She graduated from the University of Warwick with a first class honours degree in Politics with International Studies and achieved distinction in the Legal Practice Course. In 2015 she was awarded the Junior Lawyer of the Year at the Law Society Excellence awards for her outstanding work on behalf of victims of trafficking. Her work representing victims of trafficking and Modern Day Slavery has had a lasting and positive impact on this area of law, clarifying and upholding the UK’s obligations to individuals who have survived human trafficking. Nina is committed to representing individuals held in immigration detention. She is dedicated to securing the release of her clients who are detained unlawfully by the Home Office and to achieving excellent financial settlements for clients who have been deprived of their liberty. She is praised by her clients for her empathy, care and passion. Nina is co-convenor of the Immigration Law Practitioners’ Association’s Removals, Detention and Offences working group. Before this she served as trustee for ILPA between 2014 and 2017. Interests: Travel, theatre and looking after her dog.